It has been a great year for gold so far. Many difficulties and problems came up on different fronts but the market was capable of overcoming them. Surprisingly, investors who bet on gold remained calm even when the precious metal faced some tough scenarios. But so far, 2016 has been really productive for all the parties involved in this market. Thanks to this fact, many analyses are focusing on the strength the gold market could enjoy in the upcoming year. With geopolitical changes going on, some difficulties in economic matters, and political mayhem in the United States, seems like the yellow metal will continue bullish. But beyond those points, analyses focused on other factors that most people are ignoring. We are going to address those first. As many already know, the mining sector and gold are tightly related. The Gold Producers Industry Report released by Haywood Securities recently pointed out this vital factor. This year was key to the sector because it was completely dedicated to the optimization of the production stages. Big cuts were made and costs were doing effectively. This is quite positive for the industry, mainly because it increased the profits of the operations, increasing stocks value at the same time. If the production side is healthy, the gold market will be as well. Haywood makes emphasis on this in order to consider a really prosper 2017. Among the Brexit and terrorism, the European Union is suffering. With it, the local economy. Experts are arguing that the upcoming year will not be really good in financial terms for the region, affecting the rest of the world. This turmoil is too complex to determine a solid course of action but, with so many afraid investors, the price of the precious metal will continue to go up, almost for sure. While July was an outstanding month for gold, surpassing the US$1,376-mark, the reasons were almost clear for everyone. Macroeconomic elements like central banks in Europe fighting against deflation were key to push more and more people to the gold market. Another report trying to forecast gold market in 2017 talks a little bit about a probable collapse occurring next year within stock markets all around the world. Globalresearch, which is a Canadian organization dedicated to globalization, is talking about bonds collapse, leading to mayhem. As history can teach us, stock and bond misbehavior lead investors to protect their money with gold. This is a fundamental reason to look for a safe haven. Neither economic chaos nor terrorism in Europe is relevant enough to be compared with a stock market meltdown. Haywood insists that the conditions are set to have a golden 2017. 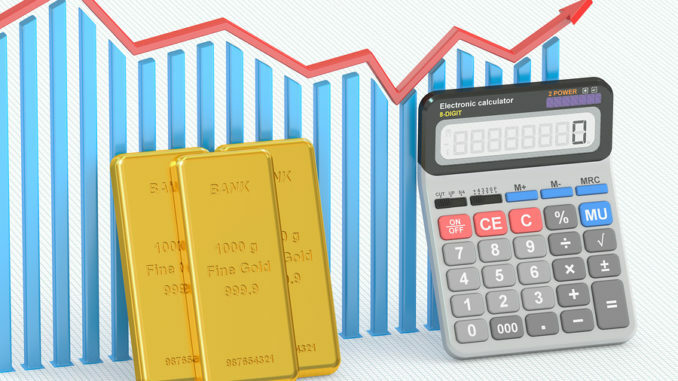 If you already replaced your free investment cash for gold, you may have big profits next year. If you didn’t, you may be losing a great opportunity. Nevertheless, these reports and forecasts are accompanied with valuable insights and charts that are worth our time. Along with the metal, the whole productive industry is transforming into a more efficient machine.